I have been involved in the Australian developer community for 10+ years now. While there is a lot of talent and passion in the community, there has always been the issue of event discoverability. While there is an issue on a per user group level (I will tackle this in a future blog post), no where has this fragmentation been worse than with Microsoft. I like to think of myself as a very informed dev community member, and I try to keep up with what major events are going on but too often there are big events that slip by without being aware it was even on. I am a Microsoft MVP, I was a Technical Evangelist for Infragistics which required that I keep abreast of events that are happening, I am signed up to countless newsletters, websites, groups, I am frequently asked to speak at some of these events and I am still missing things. Long story short there are so many silos of event information, I’m subscribed to as many as I can and I still miss out on events and can’t find information on events that *I* am speaking at so I know the events exist. I have brought this up multiple times without any resolution. So I decided to step up and create a curated list of Microsoft training events, web camps, conferences and any other big events (like DDD Melbourne/Sydney/Brisbane). While there may be other ways to solve this, I decided to go with Meetup.com as it is the single best thing that has happened to user groups. Newsletters and blog posts can be tricky to send out and maintain, and on the consumer side they can take time to parse and get the information out. Meetup quickly lists out each event and the date. Simple at a glance summary of events. So go, sign up. Spread the word to your twitter followers, coworkers, etc. The more involvement we can get in these events, the more frequent and larger the events can be! I was on a client project that was using Team City for their builds. I migrated their source control from SVN to using Visual Studio Online (as they had less than 5 users it was free). But I had issues trying to find any documentation on how to successfully connect Team City to Visual Studio when you are using Git for the source control. Hopefully these steps will help someone else in the future. Where I was going wrong was trying to treat it like it was a TFS project, instead I should have been treating it like a standard Git repository. 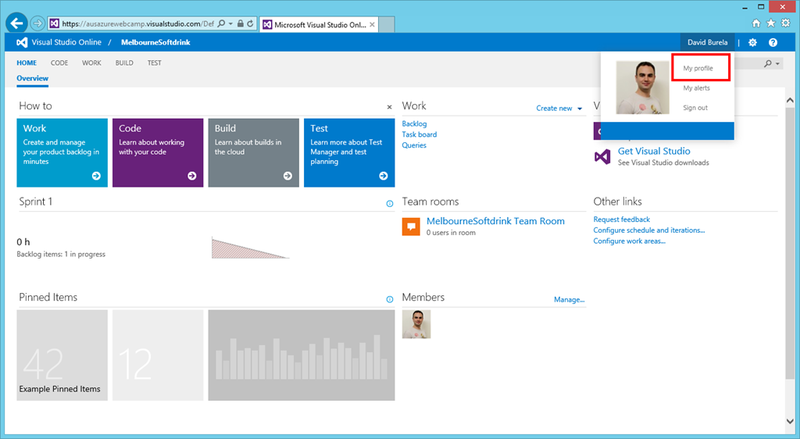 For this blog post I am using the TFS team project I created during a live demo I gave for the Windows Azure web camp. 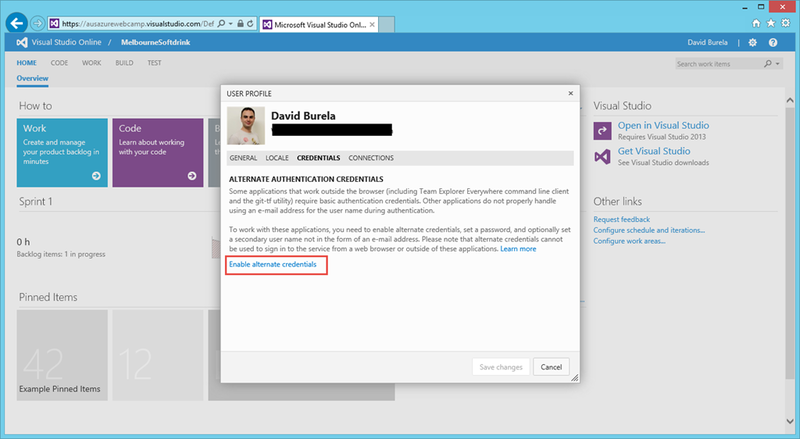 You will need to tell Visual Studio Online to enable other tools (such as command line Git tools & Team City) to be able to log in using a username & password. Load your team portal, then in the top right click “My Profile”. 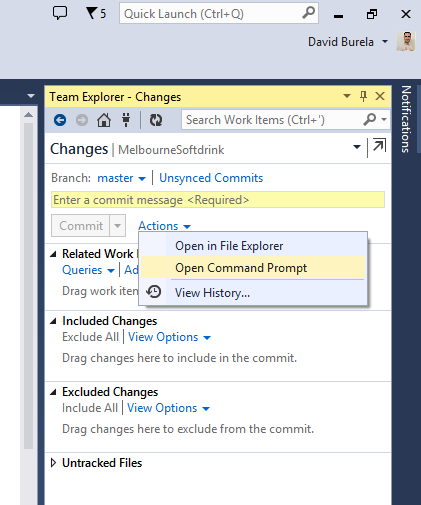 In Visual Studio go to the changes section in the Team Explorer tab. This is the part that confused me, as I kept trying to connect with the TFS plugin. The secret is to just treat it as a Git repository. 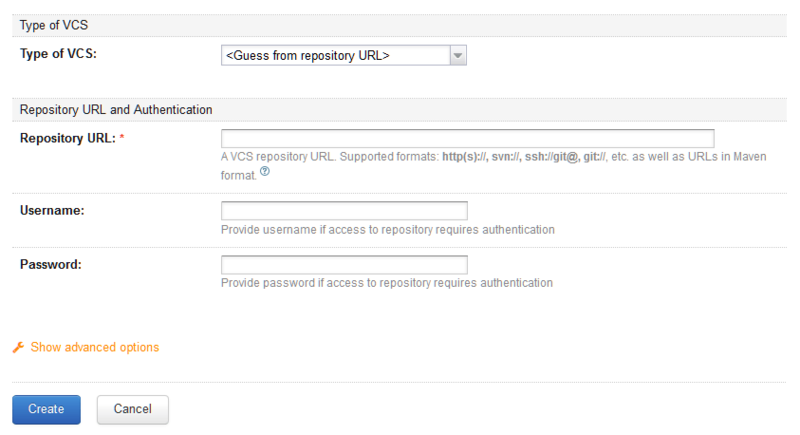 Password: Enter the password you created when enabling Alternate Credentials. Once it has connected you should be able to just click “Auto-Detect build steps” and have Team City download your source code, and automatically find your .sln file.